Bring smiles and laughter to your next event or party when you hire NY comedians. Great for birthdays, retirement parties and corporate events, these comedians featured on our guide are sure to make your event unforgettable. If you're planning an event with children present, book one of these kid-friendly comedians in NY featured on KidsParties.Party. Have a good laugh With Buddy Flip! Make your special event a fun and hilarious experience for your guests, where they can laugh their hearts out and enjoy themselves. Buddy Flip offers to provide great entertainment at your party, you will be sure that you will love his humor and wits. A renowned comedian here in New York, Buddy Flip has been performing for many events and is a veteran in stand-up comedy. Have Buddy Flip entertain your guests, you will be sure that everyone will enjoy his hilarious comedy. Enjoy The Comedy Of Johnny Lampert! A great comedian and an entertainer, Johnny Lampert offers to give wonderful entertainment for your special event. Whether it is a birthday, anniversary, bachelor party or any other occasion, Johnny Lampert will make sure that everyone is laughing and having a great time. 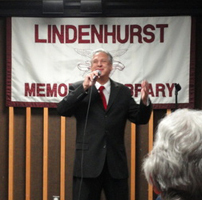 A great comedian here in New York, Johnny Lampert dedicates himself to make the audience have a good laugh and will make any event a fun and successful event. Book your reservations and have Johnny Lampert perform his stand-up comedy at your special event. Enjoy A Great Laugh At Your Party! Have Sassi Party Performers make your party a fun and entertaining occasion, they provide a comedian who performs to make everyone have a good laugh and to enjoy themselves. Whether it is a corporate event, birthdays, anniversaries or any special occasions, Sassi Party Performers can make your event a fun and hilarious occasions where their comedians will put out a great show. A premier party entertainer here in New York, Sassi Party Performers provides nothing but the best in making the guests enjoy and have a fun experience at your party. Enjoy A Good Laugh With Phil Selman! Have Phil Selman do stand-up comedy at your event, you will be sure that everyone will have a great time laughing and will be entertained. 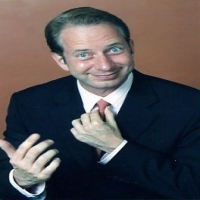 A hilarious comedian who offers his service here in New York, Phil Selman can provide his services to you at any special occasion, such as birthdays, corporate roast, anniversaries and more. You will definitely love his act and will enjoy it. Call Phil Selman and have him perform for you at your special event, you will be sure to have a good laugh and an amazing time. Great Humor Of Steve Mittleman! 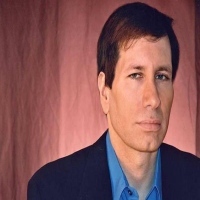 Have Steve Mittleman perform his humorous and entertaining stand-up comedy at your event, you will definitely love his amazing acts and the guests will surely be laughing. 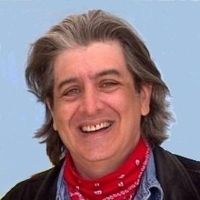 Steve Mittleman has worked with several renowned comedians such as Steve martin, Jay Leno, Lettermen and many more. He provides an experience in which you will love the way he presents his stand-up comedy and his humorous personality. Have New York's renowned comedian entertain your guests at your special event. Visit his website for inquiries and reservations. 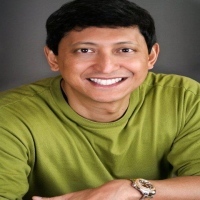 Dan Nainan is an experienced and renowned comedian of New York who has performed to many famous personality like President Obama, Hillary Clinton, Donald Trump and many more. He provides a show in which his humors are sensible, witty and totally hilarious. Audiences will simply laugh and enjoy themselves with his humorous jokes. Have Dan Nainan perform his stand -up comedy at your special event. You will definitely have the best time of your life in which you will have fun laughing. Book your reservations and contact Dan Nainan through his website or by contacting him at his number. He will be more than happy to offer his services to you. Harris Bloom, A Stand-up Comedian Of New York! Have Harris Bloom do his hilarious and witty stand-up comedy at your special event, your guests will definitely love his act and will enjoy laughing at his humorous jokes. Among the best comedians here in New York, Harris Bloom is a natural comedian who makes people laugh at his funny jokes. Have Harris Bloom do his comedy act at your special event, you will be sure that everyone will have a great time and enjoy laughing at his hilarious jokes. A Day Of Humor With Moody Mccarthy! 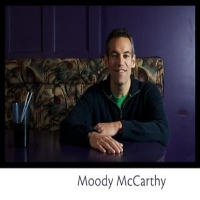 Moody Mccarthy is a natural comedian of New York that has the talent to provide an amazing entertainment and make people laugh. He offers to do stand-up comedy at any special event in which his jokes fit well with the occasion. You will definitely love his act and guests will enjoy laughing at his witty humor. Let Moody Mccarthy do his stand-up comedy at your event. Call him or send him an email, he will be more than happy to provide a great entertainment for your event. Have A Good Laugh With Rockn Randy! One of the most sought after comedians here in New York, Rockn Randy provides a good clean stand-up comedy act in which everyone will get the punch line of his jokes and will have a good laugh. A natural comedian and entertainer, Rockn Randy offers his services to any special occasion such as weddings, birthdays or corporate events and will deliver an entertainment in which it is appropriate for the event where guests will enjoy. Make your reservations and have Rockn Randy do his stand-up comedy at your event. You will definitely have the best party that you ever had when you have Rockn Randy do his stand-up comedy. Hilarious Comedy Of Erik Rivera! Among the fastest rising young comedians of New York, Erik Rivera is a natural in making the audience laugh. Also he provides a great entertainment where everyone will enjoy his sense of humor and witty jokes. Have him do his stand-up comedy at your event, you will definitely love his act and guests will have a great time laughing at his humorous jokes. Let Erik Rivera provide the entertainment for your event. 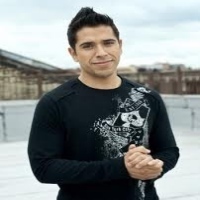 Erik Rivera will deliver a show that everyone will never forget his really entertaining and hilarious stand-up comedy.